$30.00 Out of stock. Email me when new stock arrives. 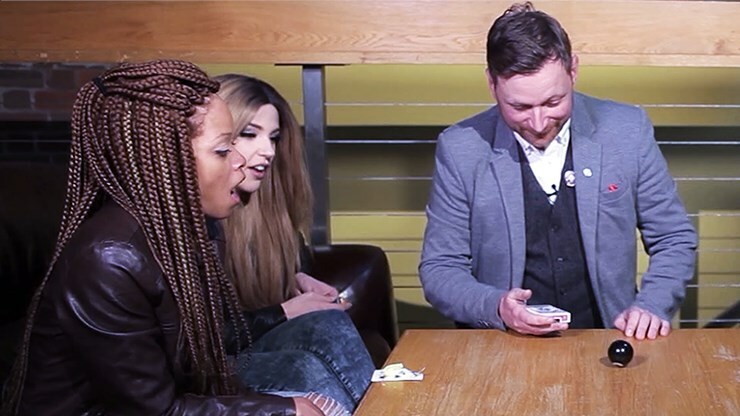 APPEAR-8 is a brilliant, visual piece of magic guaranteed to draw huge reactions from kids or adults. 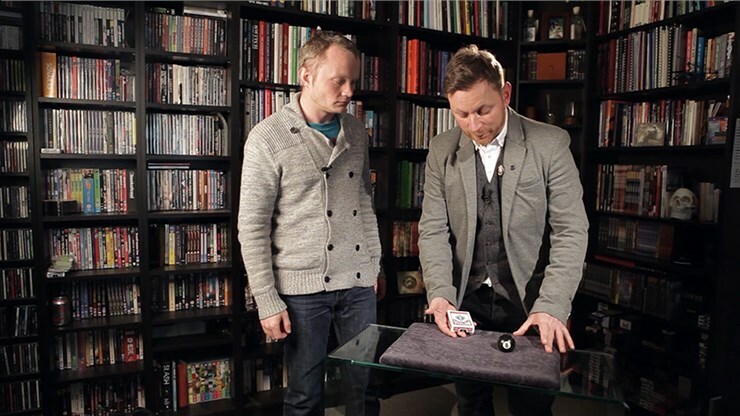 Your card box has an image of an actual-sized eight-ball printed across its face. 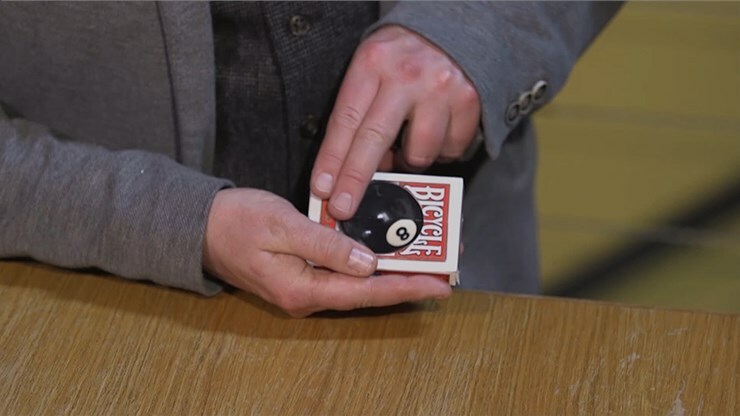 Without any cover, you pluck the printed eight-ball off the box as it magically transforms into a real, regulation-sized eight-ball which can immediately be examined! What's seen remaining in your hand? A plain red box of Bicycle cards. This is relatively easy to perform because the beautifully handcrafted gimmick does most of the work for you! Check out the video. The team here at Vanishing Inc. and AmazeKids thinks it looks even better when you do it live! You can use APPEAR-8 as a startling piece of eye-candy, or you can build it into a routine. 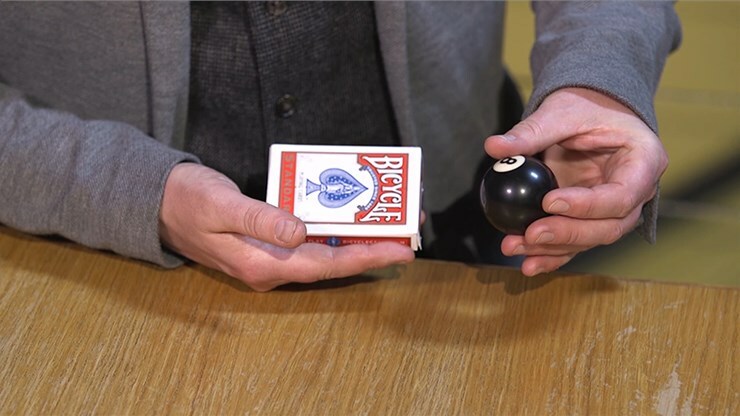 It's the perfect way to start any routine that uses an eight-ball. Another great idea is to use it as a prediction with a kicker ending. Here’s how: Force a black eight and show the image on the card box, saying “Hey, I knew you'd pick a black eight and here’s proof! Check out what’s printed on my card case!" 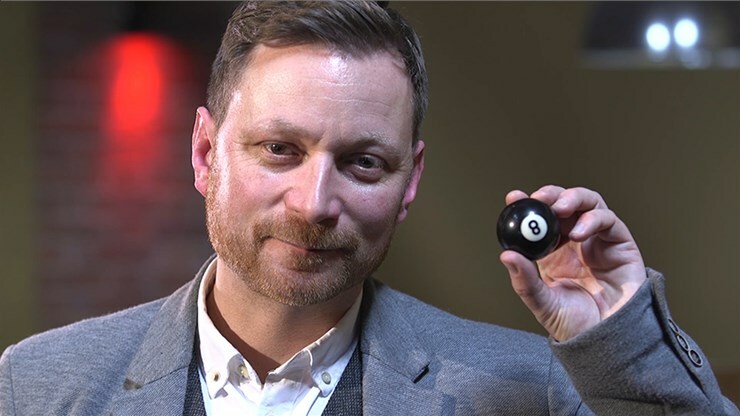 Then top your visual prediction with an even more visual climax as the 2D image becomes an actual 3D eight-ball. 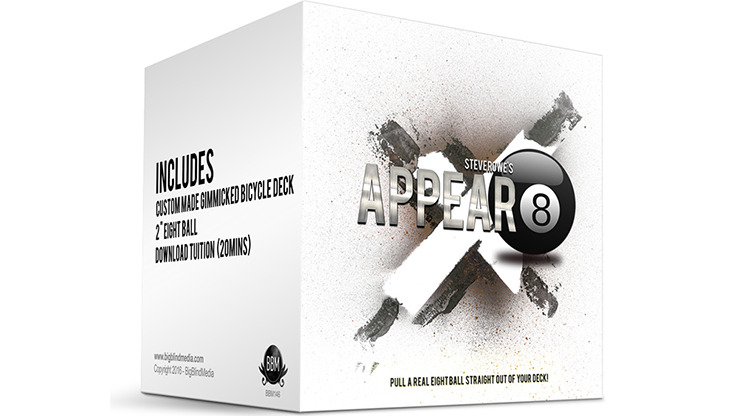 Get Appear-8 and you’ll be adding a whole new dimension to your close-up magic!